Consumers take risks with ground beef alternative. Outbreaks from salmonella-contaminated ground turkey have killed one person and sickened nearly 90 others in 28 states this year, highlighting the dangers associated with a product increasingly popular with consumers as an alternative to ground beef. Producers are not required to keep poultry with salmonella bacteria off the market. The government considers some contamination inevitable and relies on consumers to kill the pathogen with proper cooking. 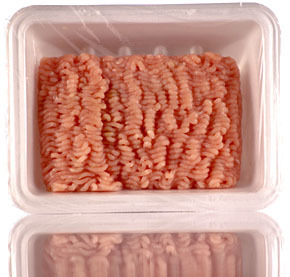 Most recently, 78 people were sickened, including one death, after eating ground turkey infected with antibiotic-resistant salmonella. The outbreak, which began in March and rapidly spread to 26 states, led to the recall of almost 36 million pounds of ground turkey that came from a Cargill plant in Arkansas. In 1994, the government banned the sale of raw ground beef containing E. coli O157:H7, the main pathogen associated with beef; but did not ban the sale of meat tainted with salmonella, the most common pathogen found in poultry. Americans eat far less ground turkey than ground beef, but nearly the same number of people get sick from both. Since 2007, ground turkey has sickened 116 people, including one who died, while ground beef has sickened 164 people, including three fatalities. Production of ground beef production far outpaces that of ground turkey. In 2009, U.S. companies processed 415 million pounds of ground turkey, compared with nearly 10 billion pounds of ground beef, according to figures from the National Turkey Federation and the American Meat Institute. Because government investigators piece together evidence of outbreaks over weeks or months, contaminated products can remain for sale in stores, or at home in consumers’ freezers, for a while without people realizing the potential risk. In the recent outbreak, illnesses from the antibiotic-resistant strains of salmonella stacked up month after month as companies continued selling the contaminated ground turkey. Bacteria that are resistant to antibiotics are even more dangerous because fewer drugs are effective in fighting them, resulting in more serious infections. Ground meats pose a greater contamination risk than do whole cuts because the grinding process can mix clean meat with tainted meat. Salmonella is found in ground chicken and ground turkey nearly twice as often as in whole cuts of poultry, according to government data. Also, companies use chemicals such as chlorine to kill salmonella on whole birds but generally don’t add extra chemicals during grinding. During grinding, salmonella on the outside of the meat mixes with interior meat that might not yet have been exposed to contamination. With the salmonella now throughout the mix, cooking the ground poultry to the proper internal temperature is necessary to kill the pathogen. “You’re increasing the surface area that bacteria have to grow on,” said Christine Alvarado, associate professor of poultry science at Texas A&M University. Agriculture Department tests from 2010 show that industry averages of salmonella in ground chicken and ground turkey – 18.8 and 10.2 percent, respectively – are more than twice as high as those for whole birds. A 2009 study by the Food and Drug Administration found nearly 15 percent contamination in ground turkey for sale in stores. Ground poultry facilities can have almost half of their meat samples test positive for salmonella and still comply with federal regulations, because the government expects consumers to kill salmonella themselves by cooking their meat to 165 degrees. This performance standard, enacted in 1998, allows contamination of 44.6 percent of ground chicken sampled and 49.9 percent of ground turkey sampled by USDA. This year, the USDA lowered the standard for whole chickens to 7.5 percent, targeting what it says is a main source of salmonella. But the standards for ground chicken and ground turkey did not change. These are benchmarks, not requirements. Though salmonella can cause serious, sometimes fatal, illness, a federal court decided in 2001 that salmonella is natural in poultry. It ruled that the government can test for it but has no authority to shut down a processing plant for routinely exceeding the performance standards. In 2010, USDA tested 21 plants that produce ground turkey and 10 plants that produce ground chicken – compared with 303 plants producing ground beef. Sherrie Rosenblatt of the National Turkey Federation says outbreaks in ground turkey can be traced through a company, which owns or monitors all levels of the supply chain. In general, poultry companies own their own grinding facilities and sometimes grind meat in the same location as the slaughterhouse. Beef grinding plants, in contrast, more often grind together meat from numerous sources and companies, and on a much larger scale, making tracing more difficult. But, as the most recent outbreak of salmonella-contaminated ground turkey shows, tracing the pathogen to the source can still trigger a ponderous, multi-agency process requiring months of interviewing victims, collecting receipts and searching for patterns of what and where the victims ate. 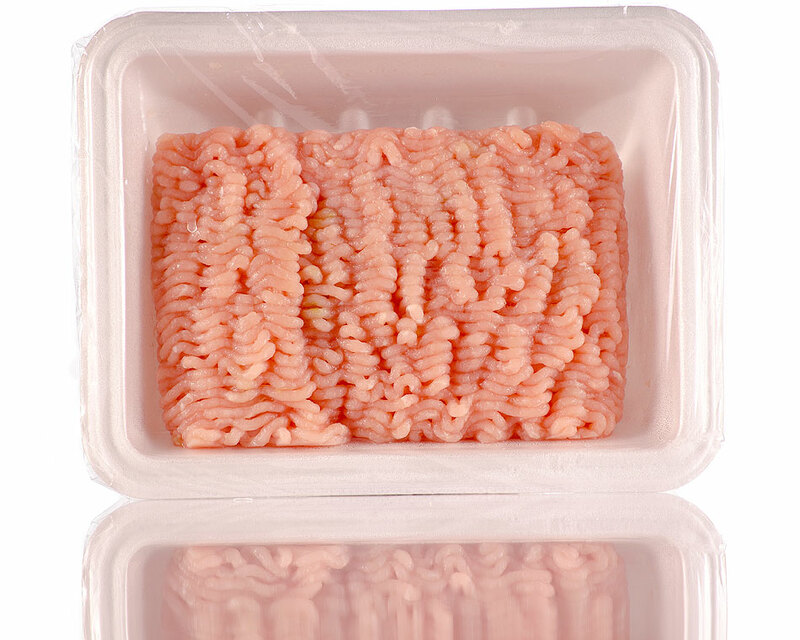 In early August, two days after the federal Centers for Disease Control and Prevention warned consumers of a salmonella outbreak related to ground turkey, the Cargill subsidiary recalled nearly 36 million pounds of meat. As of Aug. 5, the pathogen, identified as the drug-resistant Heidelberg strain of salmonella, had been linked to one death in California and 77 other illnesses coast to coast, the CDC said. Before the Aug. 3 announcement of the recall, one of the largest meat recalls in U.S. history, the agency did not tell consumers which brands of turkey to avoid, even though government data suggested a possible source. Instead, the agency advised consumers to fully cook their ground turkey to kill any bacteria. Positive test results are not enough to trigger a recall. The CDC refused to identify that “common production establishment” until investigating agencies could show that people who had gotten sick had also eaten food from that plant. After the New York Times reported on Aug. 2 that the USDA was investigating Cargill , the Minnesota-based meat processor announced a recall the next day. It was the company’s third recall in two years because of a salmonella outbreak: In 2009, 42 illnesses in nine states prompted two recalls of Cargill’s ground beef. The USDA’s Food Safety and Inspection Service has no power to demand a recall but can request one when problems arise, such as illnesses, adulteration or mislabeling. The CDC relies on state health departments to collect data about illnesses in their state. Of the 58 salmonella victims who provided information in the recent outbreak, nearly half reported having eaten ground turkey. Carlota Medus, an epidemiologist with the Minnesota Department of Health, said this was strong evidence to link ground turkey to the outbreak, given that only 11 percent of the general public report eating ground turkey in a seven-day period, according to a CDC population survey. But connecting victim data with the plant that produced the ground turkey in question was a tougher proposition. In any outbreak, by the time state epidemiologists interview the victims, they may not remember what they ate or where they bought it. Or they might have eaten the product mixed in with other ingredients and not known it. There was extra urgency to find the source of this outbreak because the Heidelberg strain is resistant to many commonly prescribed antibiotics, giving doctors fewer options for treating severe cases. This can lengthen the duration of symptoms and raise the death rate. Unless treated with proper antibiotics, salmonella infection can spread from the intestines to the bloodstream and then to other areas of the body. When the first line of antibiotics fails, doctors must resort to less conventional medications, many of which are more costly and have more serious side effects. Antibiotic-resistant bacteria was also linked to a ground turkey outbreak in April that sickened a dozen people in 10 states, resulting in three hospitalizations. Jennie-O Turkey Store, Inc., recalled 54,960 pounds of frozen, raw turkey burgers four months after the first illness was reported. News21 reporter Vanessa Burke-Payne contributed to this report.